We produced a magazine for a specialist group of dairy farmers and we packed it with features on the producers themselves alongside technical articles. It gained big approval ratings. We've also promoted numerous renewable energy projects for farming, not to mention maize mazes and open days. 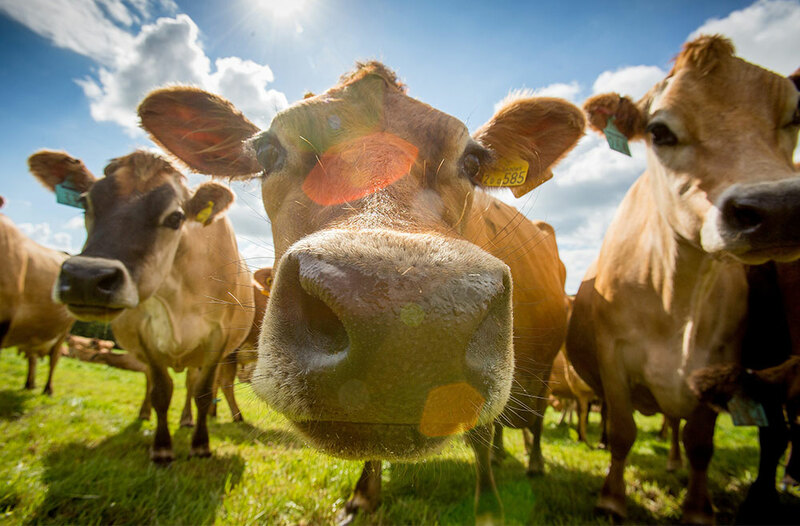 We helped to protect traditional farming activities when a major cattle market faced a hostile takeover bid. Fearing it would lose its home to a supermarket development, we were asked to mount a public relations campaign to help secure its future. We did, successfully, preparing the way for the legal people to do the rest. Supermarkets, naturally, bring us to food. We've been to more food factories, dairies and big stores in the course of business than we care to name. Our activities have seen us produce a newspaper for the employees of a global dairy company in multiple languages. And we’ve helped many small producers too.